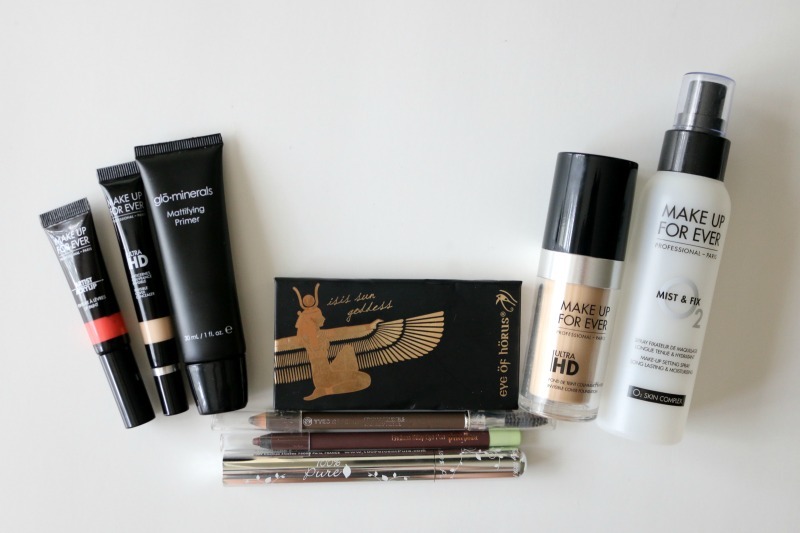 I gravitated toward some old favourites as well as some newer finds I've been enjoying from Make Up For Ever, Glo Minerals, Eye of Horus, Yves Rocher, Pixi, 100% Pure, Essence and Clinique. See below for the video and a breakdown of all products featured! What beauty products have you been enjoying lately? I love that look! You are looking sass-SAY with those lips. Gorgeous. Some of these brands I have tried before, but most I have not. They seem to work very well for you though! I love adding a splash of color through a great lipstick or lip gloss. Perhaps the next time I am out I will have to try one of them. Thanks for the great tips! I think your makeup looks great. I love that shade of lipstick on you. I think that make up looks wonderful on you. I like reading post like this because I do not know a lot about make up so the more reviews I can read the better. I would like to give that Ultra HD a try. Like your lipstick color. I have that exact same clinique ginger pop blush and it is a fav! I LOVE an orange lippie! So much I also blogged about my fav! Orange is a bold but fun color! I love using unique shades! Great post and you look awesome! Very cute look. You always look adorable though. I am a fan of coral colours in makeup and blush and clothing too. Very spring and summer colour. This looks like a nice lip shade. 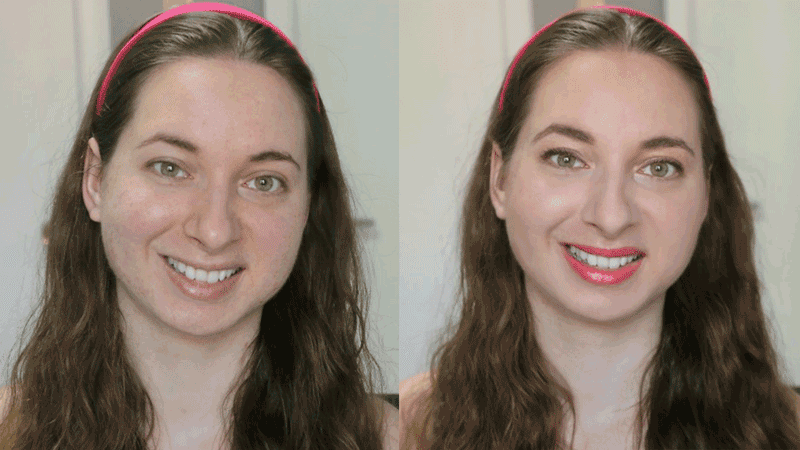 Amazing how lip color makes the face look so brighter. I need to start wearing lip color. That is a beautiful look! I love the colours! The compliment you so well! That lip colour is to die for! I love that Clinique blush, how adorable is it that it looks like a flower. That color looks fabulous on you also! I love to try out new makeup. I will have to pick up the Make Up For Ever Artist Acrylip Lip Paint. The Poppy Orange color is perfect for summer. 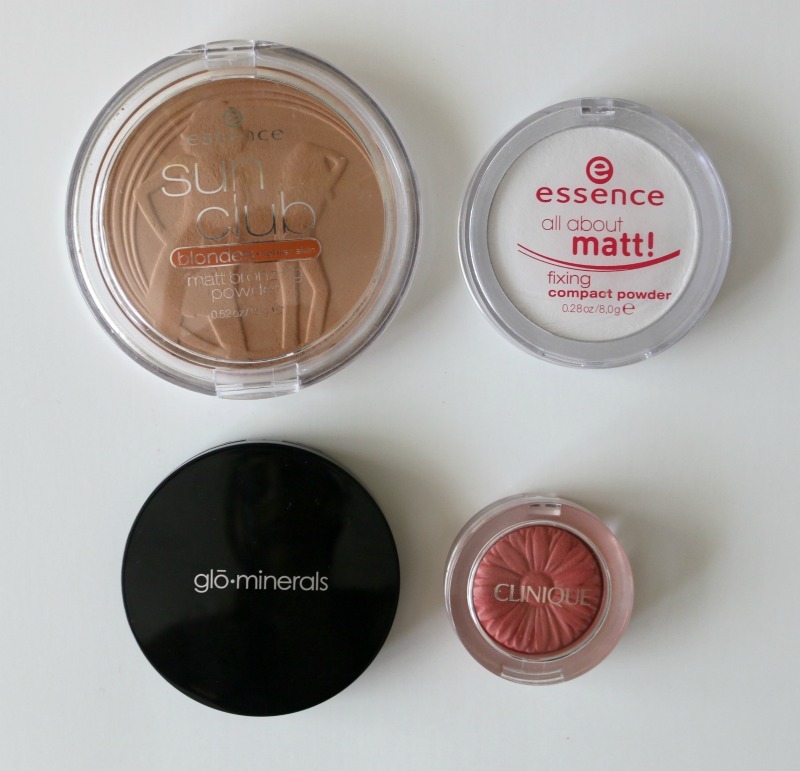 The Essence Bronzer is my favorite to wear this summer. Love the cute packaging of the Clinique cheek blush. It's so pretty. 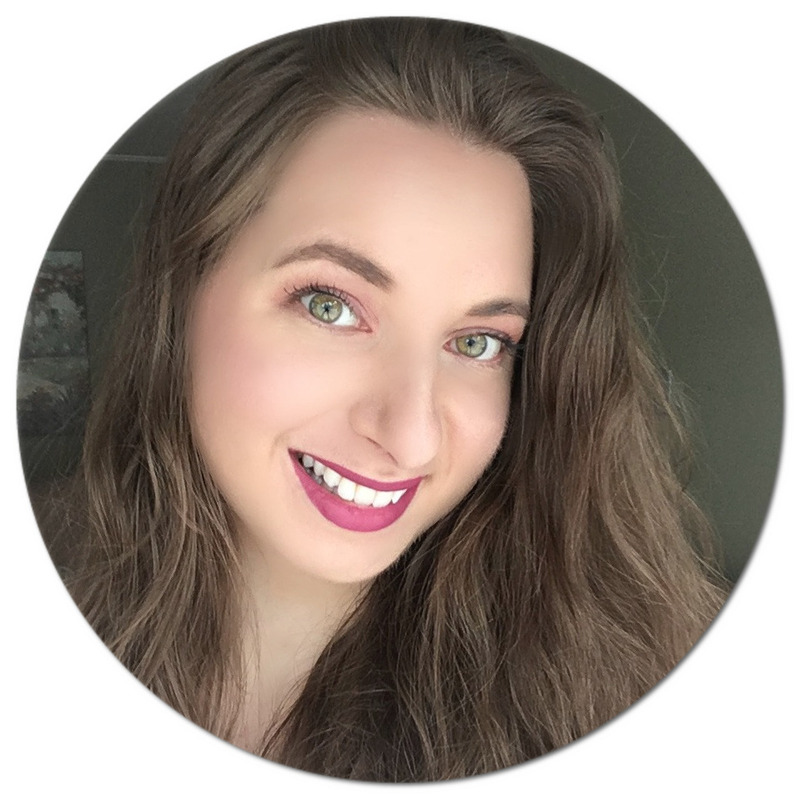 The makeup forever foundation is a great product, I have liked it! I haven't tried a lot of these products, but they sound like some good ones. I personally love the Bare Minerals collection. These look like ones I would check out though. I am too in love with makeup lately. I swear I want to try all of this. LOVE the idea of the poppy orange. How cute is that? I love your makeup. It simple and you look gorgeous. I'm not familiar with this brand, but I would love to try it. That lipstick looks great on you. I have never tried orange. I am more of a red lip type of gal myself. I am familiar with the Clinque makeup brand and I know from my personal experience it is a good brand. 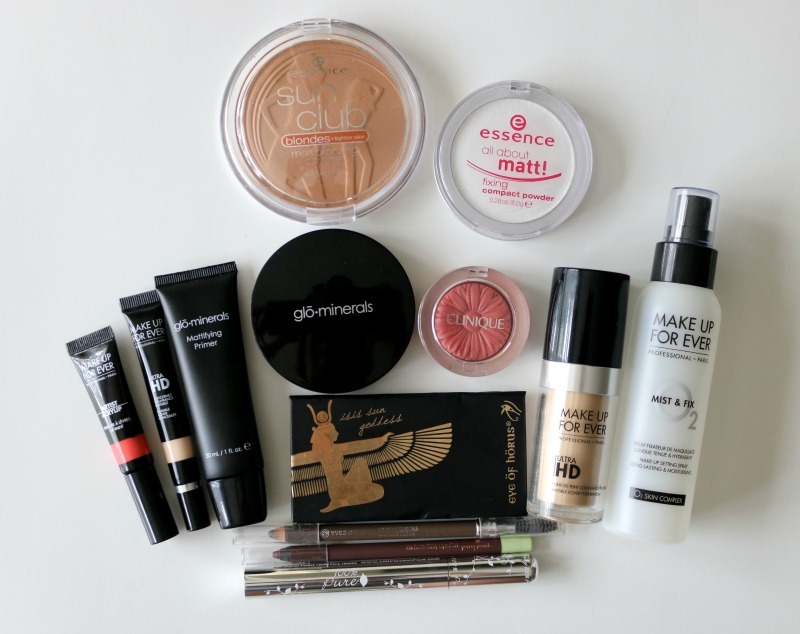 I haven't tried the other brands featured on your post, but I will include them on my makeup list. I have been looking for a good makeup remover. That makeup looks good on you! I have not worn a lot of makeup in the last few years but I am starting to get back into it. I need to try some of these out. That whole look is super cute but I think that lipstick was made for you!! It's super fun and summery!! I definitely need to try more make up forever make up! I always hear great things about them. Love the pop lip color! It gives a perfect summer vibe! And you look gorgeous as always! I love your lipstick perfect for the beach color. I do have oily skin and your powder foundation is perfect fit for me. I love that color on you. I'm not a huge fan of makeup and tend to sway towards the natural colors when I do wear it. You look gorgeous and I literally love the orange lip stick on your. I will have to try a couple of these products out for sure. The Pixi Endless Silky Eye Pen in Matte Mulberry and Make Up For Ever Artist Acrylip Lip Paint in Poppy Orange. You look great, this is a great look for summer. I love a good pop of color on the lips. Love the video and blog post! The tutorial is very helpful, and I really like the make up colors! looks like great quality and trusted brands for the summertime... you looks amazing ; ) thanks for the list I'll check out a few of those you mentioned! That's a great look for summer. The lipstick colour is so pretty! Love how natural your look is. I will definitely check out some of these products. I don't think I've ever worn orange lipstick before. I didn't realize how attractive it could be. It looks amazing on you. Orange is an excellent color for you. It does go so well with your skin tone. I can see why you like the beauty products here. Love your beauty routine! I love the blush color that you are using! I also like the setting spray you have got - I am looking to get one now. Aww. WOW. What a beautiful tutorial. I love how the makeup looks so damn natural it looks like you're wearing non! I noticed you don't put any on your neck? I've never heard of essence before. I'll have to add their stuff to my routine! Got the essence all about matt and it's great for winter!! I think it's time to buy the bronzing powder too before going for vacations!